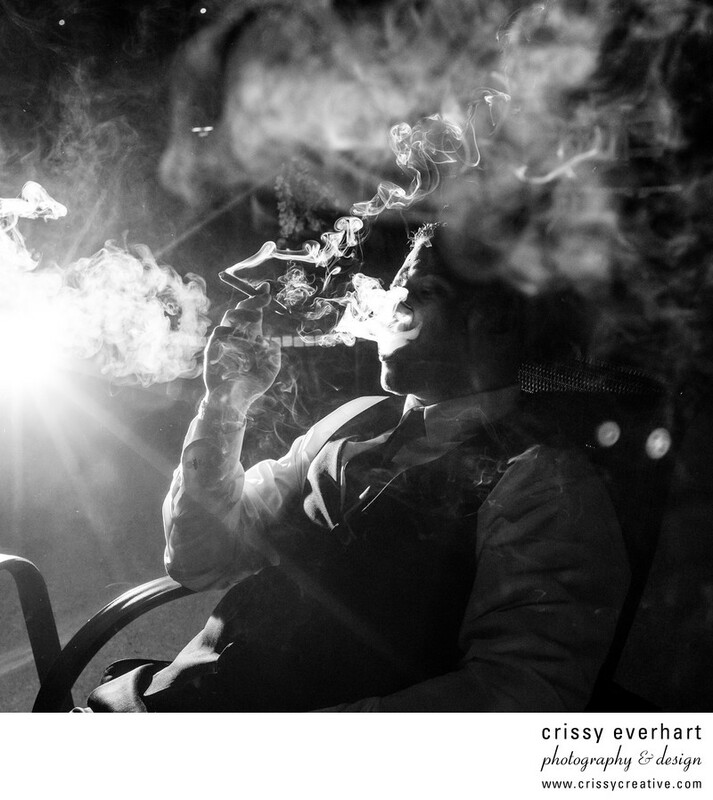 Black and white image of the groom smoking a cigar at his wedding at the Mountain Lakes Club in New Jersey. The smoke dances around the frame as the groom exhales. The image is back lit to accentuate the smoke, and you can only see a sliver of his face behind the smoke clouds.